But Aria is not what she seems. 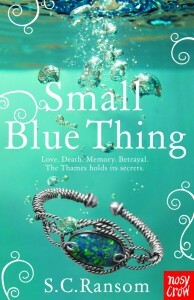 On the run from a secret community living under the streets of London, she draws Lily into a dangerous plot. Can Lily discover the secret of the labyrinth and sort out the truth from the lies? Or will she be too late to save her friend? Love. Death. Memory. Betrayal. The Thames holds its secrets. Celebrating the end of exams with best friend Grace, 17 year-old Alex rescues a swan caught on a wire in the Thames mud and finds an extraordinary bracelet. Through its disturbing and compelling powers, she finds Callum, a soul locked in a half-life of sadness and mystery following a terrible accident, and his persuasive and sinister sister, Catherine. As Alex and Callum grow closer despite the enormous obstacles to their love, the dangers mount until Alex must risk everything to save Grace and Callum must risk everything to save Alex. Theft. Lies. Love. Someone wants Alex’s life. Still recovering from her earlier brush with death, Alex’s source of strength and comfort is Callum, still locked in a sad half-life after drowing in the river Fleet that flows into the Thames. And she needs all the strength and comfort she can get: someone is out to make her life a misery, and someone is out to get hold of the extraordinary bracelet that enables her to communicate with Callum. Secrets. Courage. Hope. A choice that changes everything. Alex knows there’s a way that she and Callum can be together. Catherine holds the key to unlocking the secret but she’s disappeared. 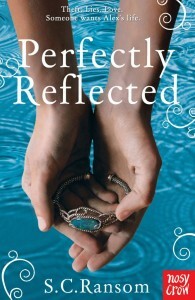 Olivia has answers, too, but they’re hidden deep inside her troubled mind and won’t be found. It seems impossible but Alex can’t give up. The question is, how much will she risk to be with the one she loves? Could it be everything? 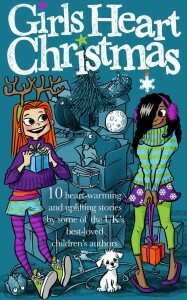 Ten heart-warming and uplifting Christmas stories by some of the UK’s best-loved children’s authors. From puppies to moon bases, domestic crises to futuristic worlds, there’s something for every young reader in this brand-new collection – and each story has a Christmas theme. Supported by the multi-author blog Girls Heart Books, this anthology brings together successful authors Julie Sykes, Paula Harrison, Jo Cotterill, Jenny Smith, S C Ransom, Deirdre Sullivan, Luisa Plaja, Joan Lennon, Lynda Waterhouse and Alex Campbell. Girls Heart Books is a daily blog about books and writing for girls and boys – click here to see the latest updates and competitions. Sue's new book, "The Beneath" is available now.